You have probably heard the term SUP – Stand Up Paddleboard. This water sport is becoming increasingly popular on Vancouver Island and beyond. People can stand or kneel and paddle this long and wide board on the water. 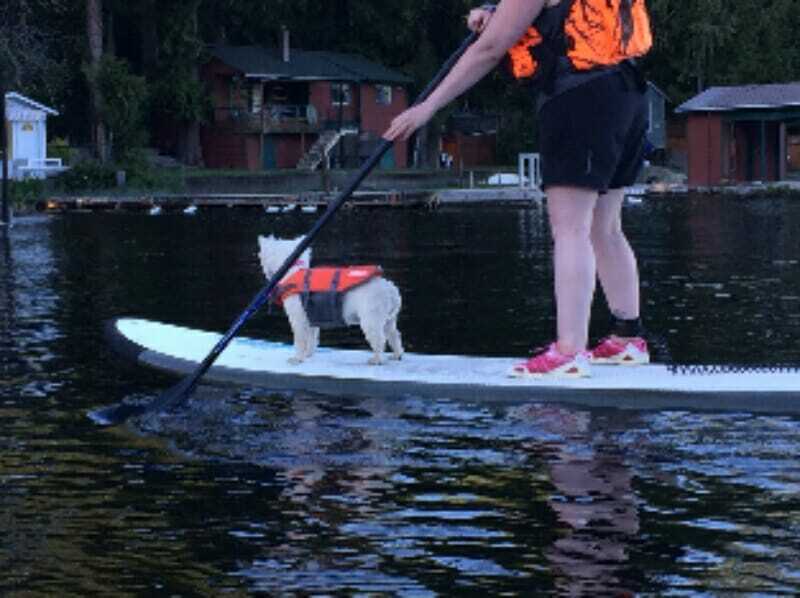 Recently I went for a paddle with one of Mill Bay Vet’s clients, Alisa who has taken paddleboarding to a new level. Her six-year-old Westie accompanies her along for the ride. ‘Dixie,’ clad in a dog-sized PFD (personal floatation device) stands at the front of her board, completely at ease. I thoroughly enjoyed paddling alongside them glide over the water. Dixie was bold when we paddled through some waves, she sensed their presence and lay down as the waves lapped at the front of the board. Alisa was very calm, and I could see how the gentle movements of paddleboarding can have a relaxing effect on both animals and people. 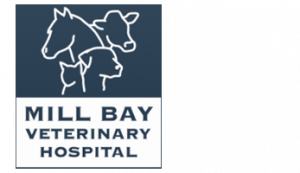 Does this sound like something you would like to try with your dog?